Happy Cyber Monday!!! It’s one of the best sale days of the year! Whether you’re a long-time follower of my blog or just recently started reading it, you know by now that my go-to handbag is usually a classic Tory Burch tote (my current favorite is this Block T tote! No surprise, I wear it all the time ;) . I have always LOVED Tory Burch and in fact I remember back when I first started blogging almost five years ago I remember it being a total dream and goal of mine to work with them! So I was super excited when they asked me to help launch their new exclusive holiday mini bags! They are a fun, small size and will fit everything you need for a date night out, plus they come in a variety of colors and would make for the perfect gift for a mother, grandmother, sister, daughter or friend for the holidays!! Brought to you by Tory Burch. Love the display you did with the bags! Too cute! 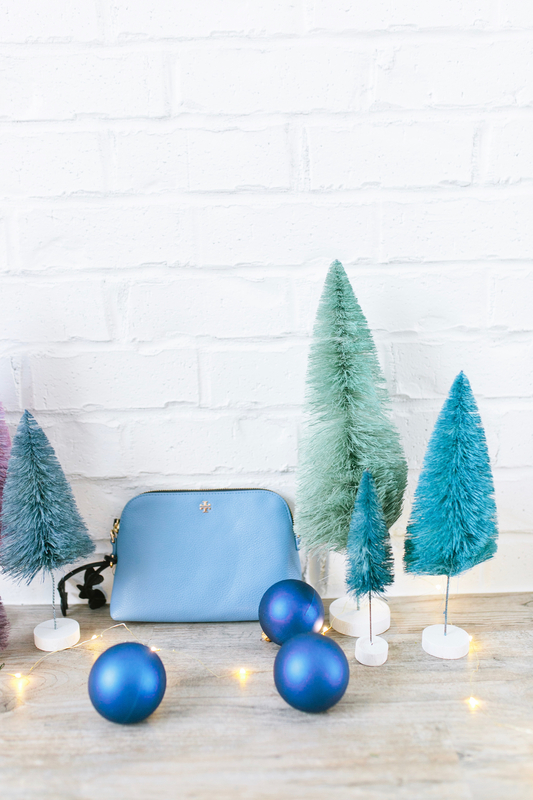 Love this bag and all the color waves…such a great gift idea for the holidays! Love that jacket!! Hope you had a wonderful holiday weekend. I LOVE your jacket! Those bags are super cute too! Than you!! Yes it is very warm! Love your jacket!! Hope you had a great holiday weekend. Love these bright + bold bags! Perfect gifts! Let’s give one away, huh? 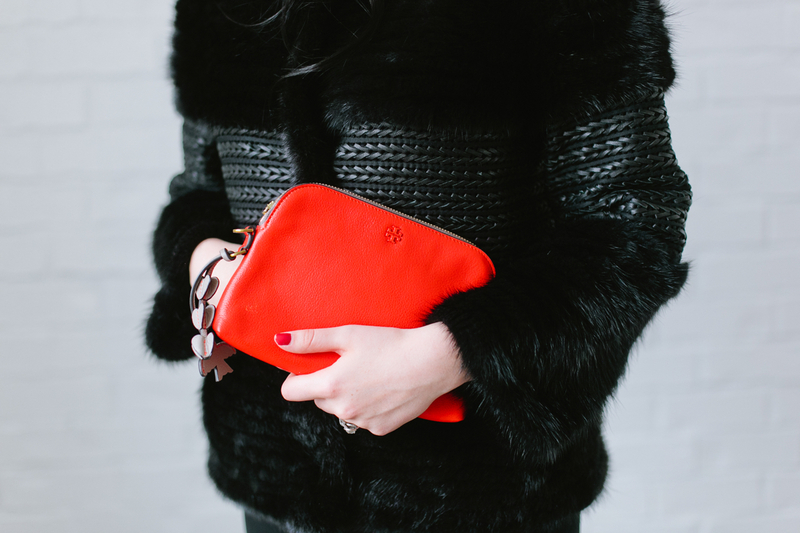 Love the whole outfit with pops of red. I love the Tory Burch bag in Pink! ? Omg! They are so cute!!! Love this post! What a cute bag!! Perfect for holiday parties! Love this look and I love how you displayed the bags! It’s so cute and festive! I am obsessed with that jacket! Loving all these TB picks. I absolutely LOVE these shoes! This is such a cute going out outfit! Super sweet post!! Loving your jacket! 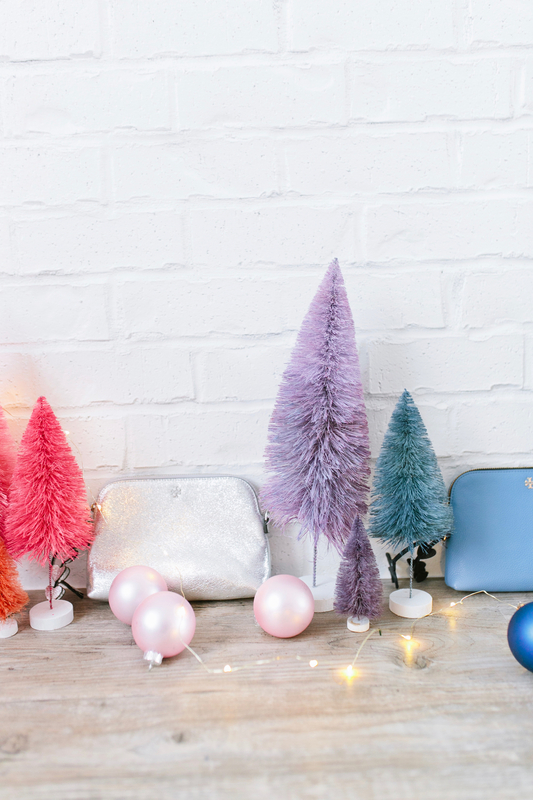 Love the bags but please can you tell me where all those colored mini trees are from?? In love with them!!! what a fun post! you cant go wrong with some cute tory burch! How much can this bag hold? Is it a good size for wallet, phone, lipgloss? Trying to decide if I should get it! Yes it’s great for that! Those bags are the perfect pop of color! Love the red one! Super cute! 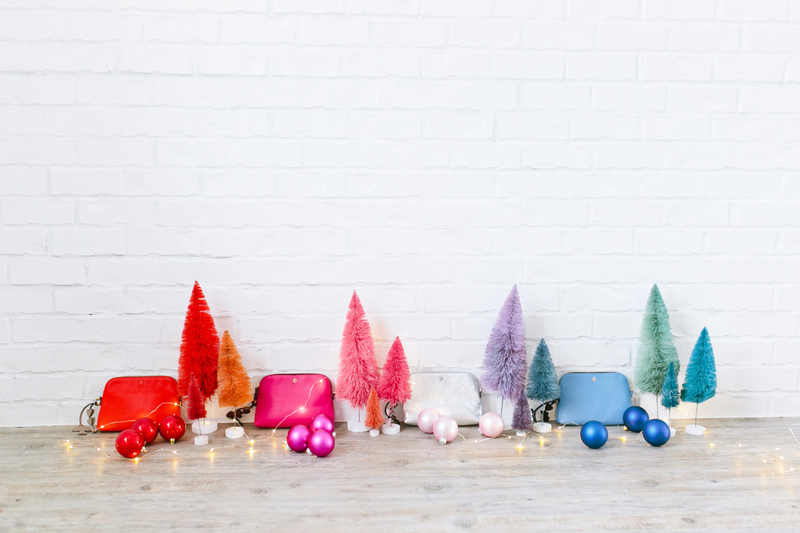 Love these colorful holiday bags! These are so cute! So great that your dream came true to work with them. I love the pink one! I love what you did with the bags!! It looks so pretty and festive! I love my Block T tote. I carry it everywhere. I love mine too! It is one of my favorites!! Great outfit! Love the bag! So exciting that one of your dreams came true!! Those little bags look so nice, I can’t see them on the UK store but as soon as I do they are going straight on my wishlist! 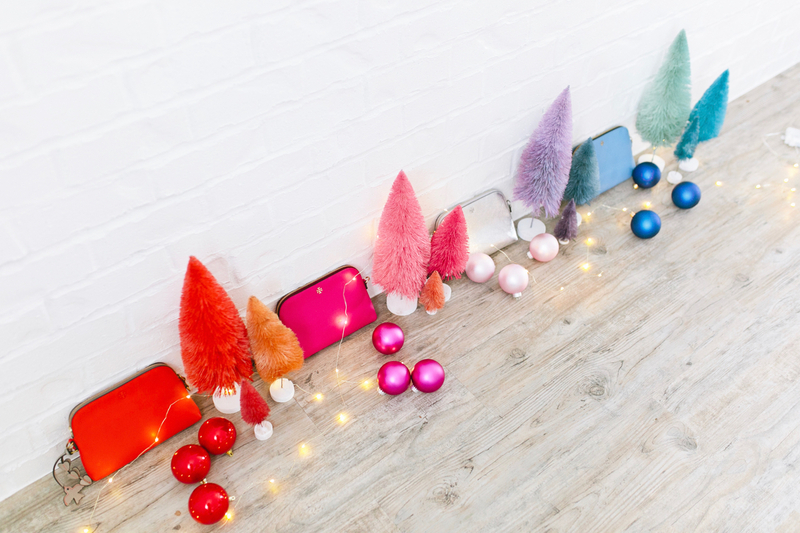 Love your whole look and the little Christmas trees are cute!